The hottest temperature ever recorded on Earth was 2,370°C (4,298°F) – just shy of half the sun’s temperature, researchers have discovered. The record high was caused by an asteroid impact which led to the formation of the 28-kilometer diameter Mistastin Lake crater in Canada. 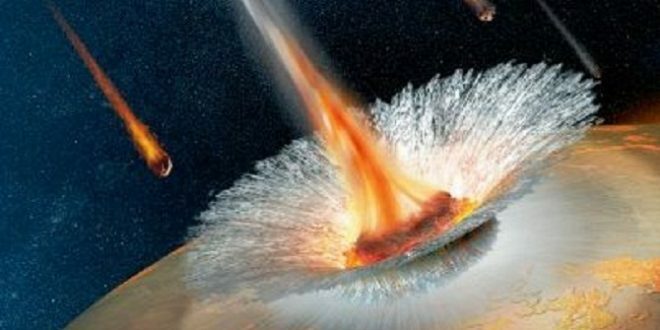 Researchers have long known there was a large impact in the Labrador region (the mainland portion of the Newfoundland and Labrador province) thanks to the Mistastin crater. This 17-mile (28-kilometer) depression contains Mistastin Lake, which is quite obviously an impact crater when seen from above. There’s an arcuate central island in the lake, which is the central uplift of the original impact crater, and the lake itself is roughly circular. Although, the lake is somewhat smaller than the original crater, at just under 10 miles across.